Jaime Harker, professor of English and the director of the Sarah Isom Center for Women and Gender Studies at the University of Mississippi, will discuss her new book, The Lesbian South: Southern Feminists, the Women in Print Movement, and the Queer Literary Canon (UNC Press, 2018) at 4 p.m. Friday, Oct. 19, in Kimpel Hall 214. The Lesbian South uncovers a largely forgotten literary renaissance in Southern letters. Anchored by a constellation of Southern women, the Women in Print movement grew from the queer union of women's liberation, civil rights activism, gay liberation, and print culture. Broadly influential from the 1970s through the 1990s, the Women in Print movement created a network of writers, publishers, bookstores, and readers that fostered a remarkable array of literature. 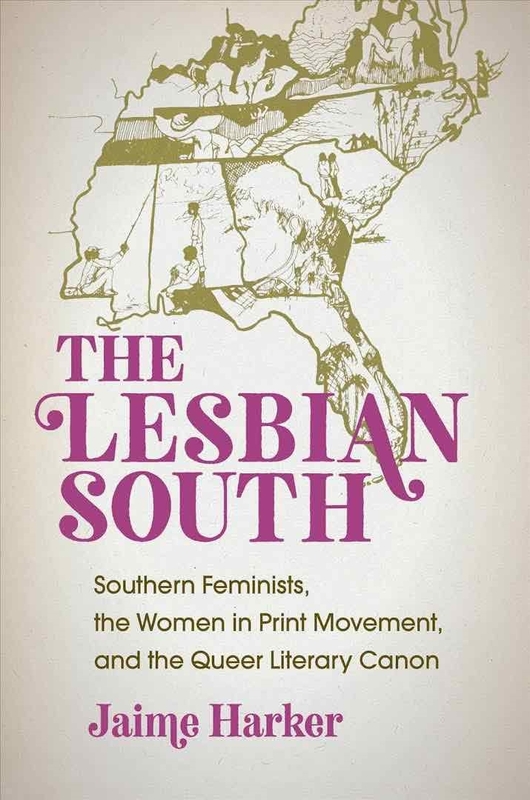 With the freedom that the Women in Print movement inspired, southern lesbian feminists remade southernness as a site of intersectional radicalism, transgressive sexuality, and liberatory space. Harker has published essays on Japanese translation, popular women writers of the interwar period, Oprah's book club, William Faulkner, Cold War gay literature, and women's liberation and gay liberation literature. She is the author of America the Middlebrow: Women's Novels, Progressivism, and Middlebrow Authorship Between the Wars and Middlebrow Queer: Christopher Isherwood in America, and the co-editor of The Oprah Affect: Critical Essays on Oprah's Book Club, 1960s Gay Pulp Fiction: The Misplaced Heritage, This Book Is an Action: Feminist Print Culture and Activist Aesthetics, and Faulkner and Print Culture. She is also the owner of a queer feminist bookstore, Violet Valley, in Water Valley, Mississippi. This lecture is sponsored by the Department of English, the Diane D. Blair Center of Southern Politics and Society, and the Gender Studies Program in the J. William Fulbright College of Arts and Sciences.